The major projects intended for 2008 were essentially the same as those for 2006 and 2007. These were to varnish the loft logs and to build as many as three staircases. 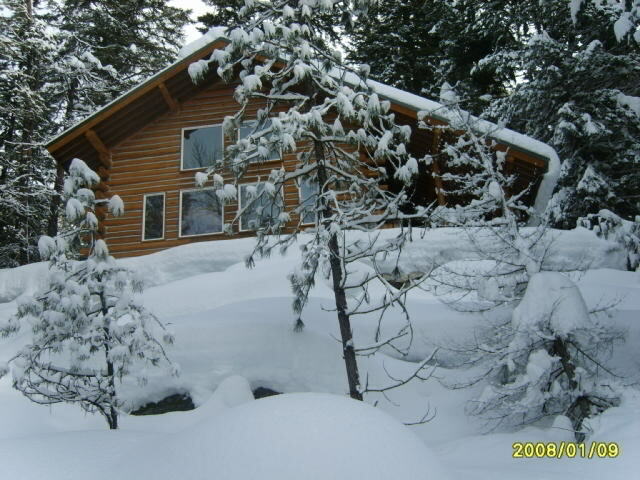 As it turned out, however, the heavy snow this winter changed the plans. First, the roof was damaged which made the repair a higher priority than the scheduled projects. Secondly, the snow damaged the temporary power service which bumped the project of installing permanent power to the top of the list. 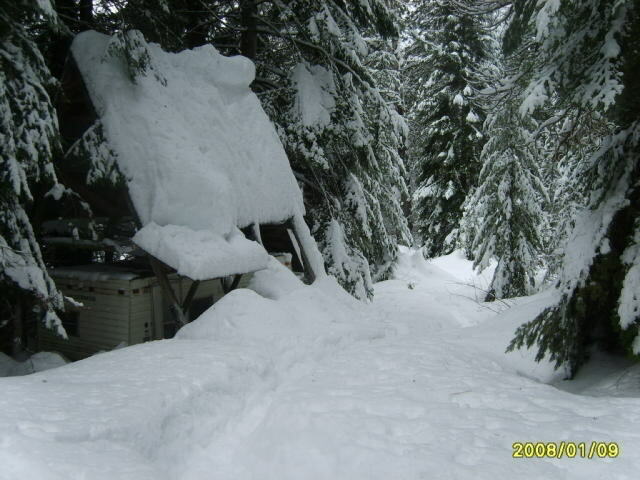 1/9/08 The trailer is nearly buried in the snow. 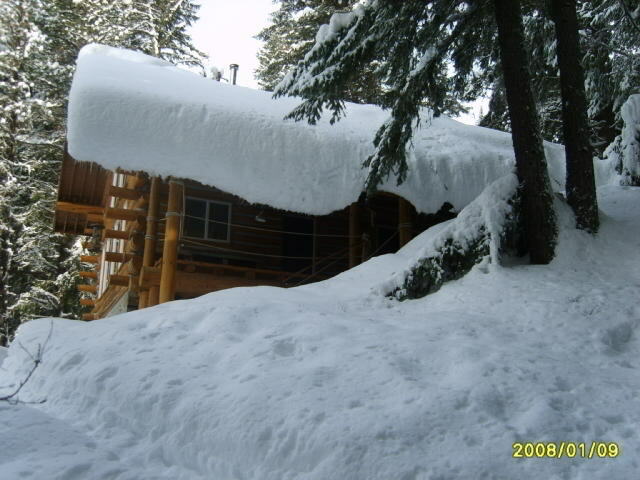 1/9/08 Notice that you can't see any of the foundation because of the deep snow. 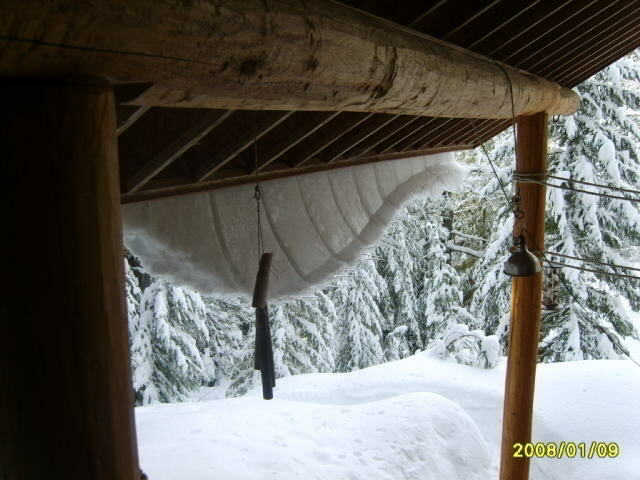 1/9/08 The snow slowly slid off the roof and froze. It is still hanging there. 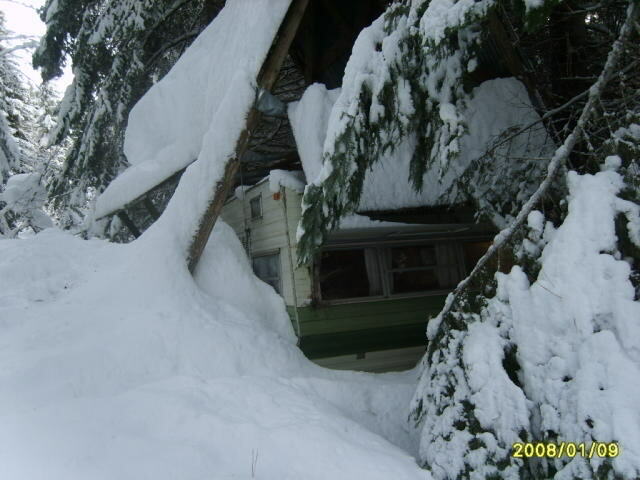 1/9/08 The overhanging snow curled as it froze so that the icicles hanging from it are now horizontal and pointing at the cabin. ©2008-2019 Paul R. Martin, All rights reserved.